President Trump signed a $1.3 trillion federal budget into law today. The massive budget, consisting of more than 2,322 pages of text, will fund the government through the end of September 2018. The bipartisan agreement promises $500 billion in both domestic and defense programs for two years. In total, the omnibus allocates $4.6 billion to fight the opioid epidemic, which is a $3.3 billion increase from last year’s funding level. The spending budget effectively adds billions across several agencies to help local and state governments fight this public health crisis. Continuing the State Opioid Response Grant Program (initially authorized within the 21st Century Cures Act), the omnibus authorizes $1 billion for a new State Opioid Response Grant Program, setting aside additional resources for states that have been particularly impacted by the opioid epidemic. 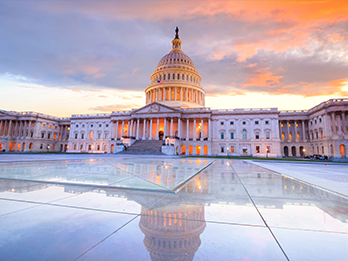 The National Institute of Health (NIH) will receive an additional $3 billion, bringing its total budget to $37 billion for FY18. A total of $500 million of this budget will be dedicated to research related to opioid addiction, development of opioid alternatives, pain management, and addiction treatment. The Centers of Disease Control and Prevention (CDC) will receive $476 million for opioid research and overdose monitoring – a significant increase from the previous fiscal year. The Department of Health and Human Services (HHS), will receive an additional $10 billion, increasing HHS’ budget to $78 billion. The Substance Abuse and Mental Health Services Administration (SAMHSA) will receive $1.4 billion to fund state opioid response efforts and mental health services. The Health Resources and Services Administration (HRSA) will receive $415 million in order to expand services and accessibility for opioid addiction treatment and mental and behavioral health care services in underserved rural communities. The Department of Veteran Affairs will receive an additional $500 million for mental and behavioral health services. The Department of Justice will receive $330 million to fund the Comprehensive Addiction and Recovery Act of 2016 – a $227 million increase from FY17. This includes a $131 million increase to expand the Comprehensive Opioid Abuse Program (COAP) offerings to include prevention and education programs for youth, community engagement by law enforcement, response teams to assist children dealing with the aftermath of opioid addiction, and family court programming related to treatment for opioids. The funding increase for mental health and addiction programs and services in the omnibus reflect Centerstone’s priorities. To learn more about how this federal budget allocates spending for behavioral health, visit The National Council’s website.